Introduce a stylish focal point to your living room with this striking Cheshire Light Oak Small TV Unit. This compact piece is ideal for those who need essential storage whilst still wanting a stylish, chic design. Expertly crafted using traditional methods, this Cheshire Light Oak Small TV Unit exudes quality and style. With bevelled tops and beading on the side panels and door front, this stylish piece has traditional detailing to create the perfect item for any interiors. The North American White Oak has been coated in a light lacquer to protect and enrich the natural beauty within the oak grain. The Cheshire Light Oak Small TV Unit is manufactured from responsibly sourced solid oak and oak veneers, from sustainable forests. Beaded side panels and door front. One adjustable shelf behind the glazed door. 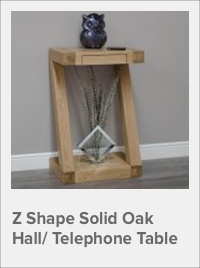 Manufactured from solid oak and oak veneer. View the complete Cheshire Light Oak Furniture range here. Width 90cm, depth 44cm, height 50cm. Delivery in most cases will be within 2-3 weeks (Please see Specification as some ranges fall outside this.) If for any reason this changes, we will inform you as soon as possible, giving you a new delivery date..
On orders over £399, you will receive our free Home Delivery Service as standard to UK mainland customers to help you get your new furniture up-and-running as soon as possible, allowing you to simply order, relax and enjoy. Orders £399 and under have a £25.00 delivery charge. Please note, for these orders we may use a national one man delivery service. In such cases the customer will be responsible for unpacking their order and disposal of the packaging. 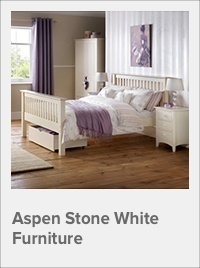 Our assembly offers apply to all our ranges except: Aspen White Bedroom and Trent Solid Pine Bedroom, these ranges are self assembly. These options are present in your shopping basket. To view our returns policy, click here. As part of a growing company, here at Oak Furniture UK, we know just how important each and every customer is. 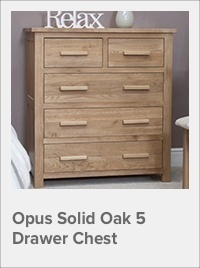 Our mission at Oak Furniture UK, is to provide quality, solid oak furniture to our customers, at prices that are always reasonable. We have always taken pride in our ‘no hassle, no quibble’ policy. If an issue cannot be rectified successfully, we will work to replace the item or supply a full refund in a prompt and respectful manner. 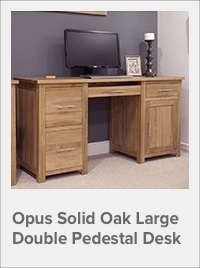 Oak is a robust hardwood, widely used to create distinctive home and office furniture, from period to contemporary. The types and characteristics of oak vary widely, from the warm and rustic, to the smooth, ‘white’ varieties. By caring for your furniture in the correct manner, you will prolong its finish and quality. Oak Furniture UK, we take our environmental responsibilities seriously to ensure our sustainable wooden furniture has as little environmental impact as possible. This level of care is engrained in our products, staff and suppliers. 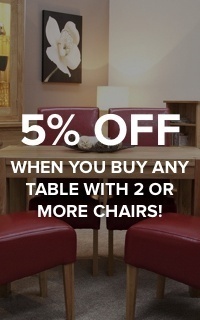 We want to share our policies with you, so you can make an informed choice about the furniture you buy. Oak Furniture and Robin Iles. Very pleased with my new furniture I purchased, great customer service via phone and email, definitely recommend to family and friends. 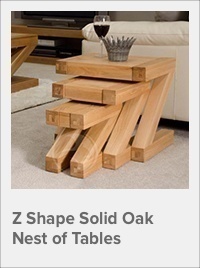 Ordered a coffee table, nest of tables and sideboard in oak. Beautiful solid furniture and very well made. Be the first to know about our special offers!